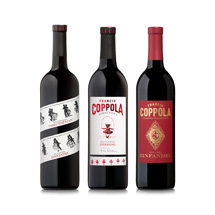 Francis Ford Coppola Reserve Dutton Ranch Chardonnay (1 bottle) Our Reserve Chardonnay wine opens with an exotic bouquet of guava, tangerine, and cinnamon. Barrel fermentation and secondary malolactic fermentation work to create a rich, creamy palate that offers lively flavors reminiscent of pineapple upside down cake, summer melons, and candied citrus peel. As the wine opens up, smoky notes emerge on top of blood orange and vanilla cream, making the long, lavish finish particularly appealing. 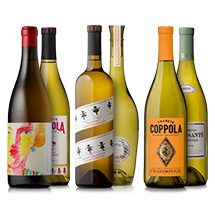 Sofia Chardonnay (1 bottle) Our Sofia Chardonnay enjoys excellent balance, a supple texture, and bright flavors of crisp green apple, white peaches, juicy pears, spices and a hint of citrus. Monterey County’s signature mineral notes peak through on the finish, making our Chardonnay as graceful as it is unique. 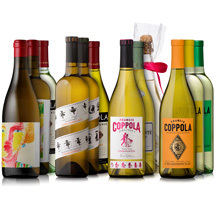 Director's Chardonnay (1 bottle) Endowed with a soft, velvety palate and ripe citrus perfume, this wine has mouth-watering flavors of melon, pear, clove, and vanilla. Pair with crab legs, chicken pot pie, or a grilled cheese panini. Diamond Collection Chardonnay (1 bottle) Our Chardonnay exhibits excellent body and silky mouthfeel. The mid-palate shows supple, generous length and great flavor intensity with a persistent and clean finish from the crisp natural acidity. 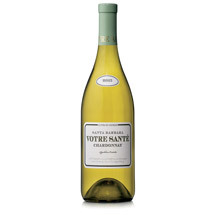 Votre Santé Chardonnay (1 bottle) Our Votre Santé Chardonnay strikes a lovely balance between sweet fruit, zesty citrus notes and a spiced vanilla finish. It delivers a delicate perfume of peaches, lemons, and spiced pears along with luscious flavors of apples, pineapple, and toasted vanilla.